Two instruments could hardly be more different. In terms of size and the sheer volume which they can generate, harmonica and piano stand at opposite ends of any imaginary spectrum. 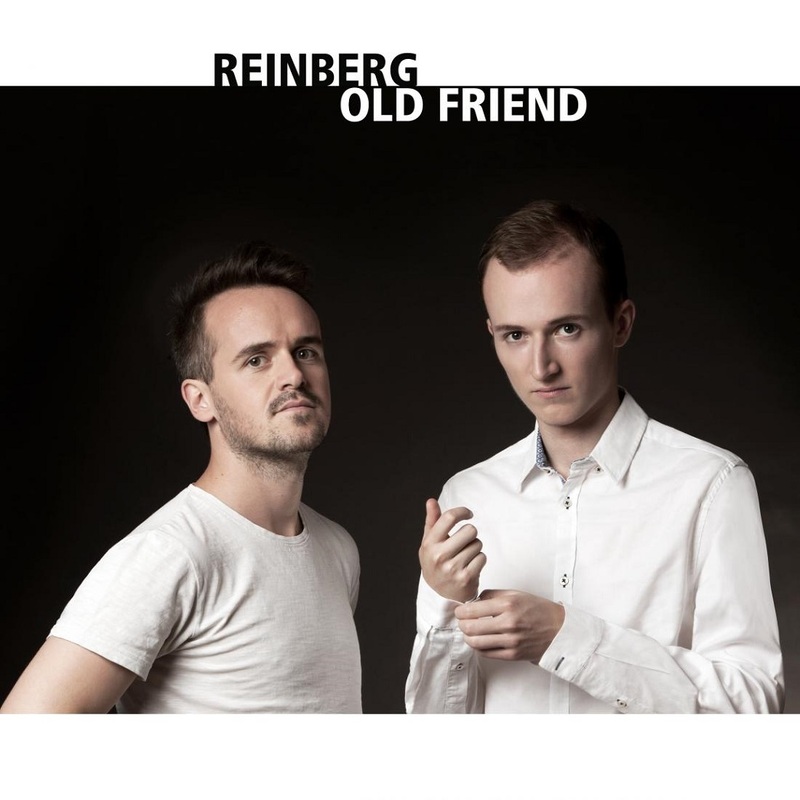 But Reinfeld has long been regarded as one of the most important harmonica players in Europe, and Spangenberg has evolved from an internationally renowned sideman to become an insider tip on the German solo piano scene. And with this instrumental stroke of genius, the two prove that opposites do indeed attract, and that they can truly bloom together. Their debut album Old Friend is a tribute to Toots Thielemans, who passed away in 2016. 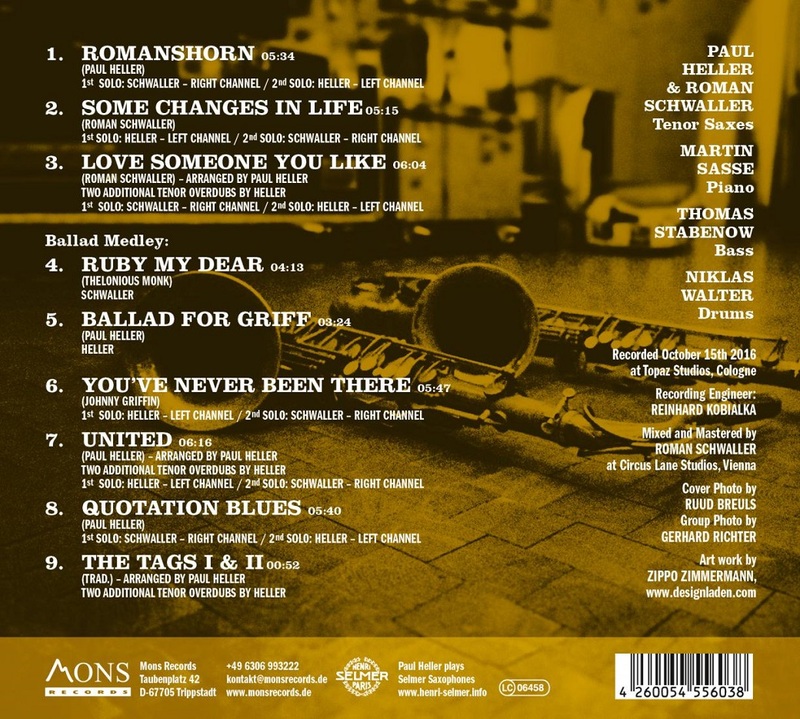 In addition to original compositions by each of the artists (“Fresh Start In Between” and “Where To Go”), the album focuses on the repertoire of the Belgian harmonica legend, who was still touring the world right up until his passing aged ninety-four. Three of Toots’s compositions set out the reference points for this production. One of his works, very well-known outside the world of jazz, is the “Sesame Street Theme”. To this day it is still used as the theme tune for the famous children’s series. Then there is “Bluesette”, known throughout the world as a jazz standard and evergreen. 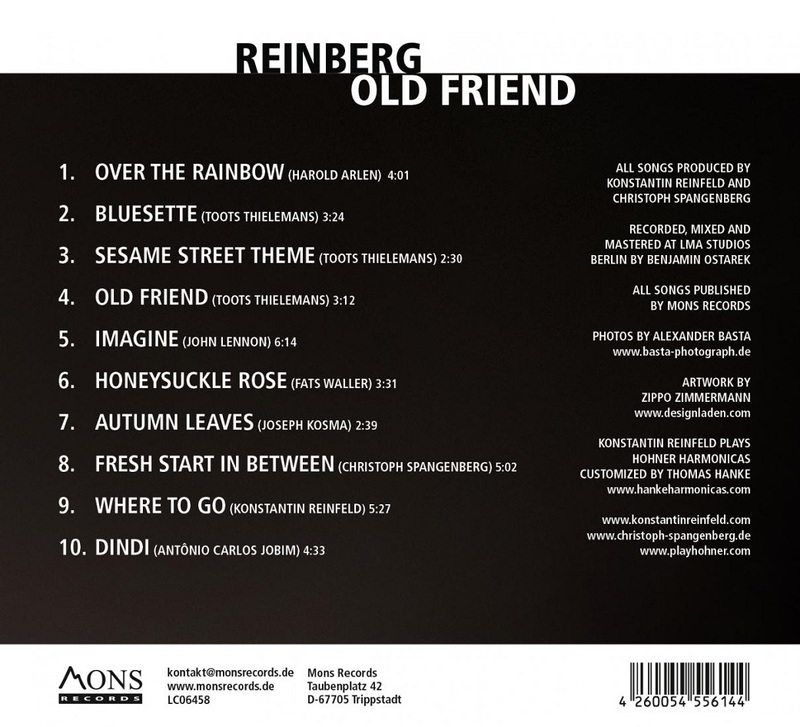 And of course “Old Friend”, which Thielemans first released in 1975 on the eponymous album (Polydor). REINBERG finish off their bow to the old master with significant favourites from Thielmanns’s repertoire. “Autumn Leaves” is one of the most well-known jazz standards of all time. “Over The Rainbow”, which was first immortalised by Toots on his 2006 recording One More for the Road. “Dindi”, a bossa nova by Antonio Carlos Jobim which Thielemans recorded with Ella Fitzgerald and Joe Pass. Then there is “Imagine”, a favourite melody from the world of pop which Thielemans played with the accordionist Sivuca, heard here in a completely new guise. Last but not least, “Honeysuckle Rose”, the bluesiest piece on this production, and with a sound closest to that which one generally associates with the diatonic harmonica (blues harp). You just need to listen to Paul Heller‘s new CD for a few seconds before you notice it; here are two people who fit together like the pieces of a jigsaw puzzle. It‘s not just because they both play the same instrument, the tenor saxophone. No, it‘s something more than mere outward appearances. It‘s a long-standing friendship, a musical partnership, and a spiritual kinship. And they both pursue the one and the same goal. Paul Heller and Roman Schwaller just want to play. Simply playing. Uncompromising. Full of energetic commitment. Straight ahead! Heller and Schwaller first met exactly twenty-five years ago, and numerous projects together have followed. The Swiss Schwaller (born in 1957) twice invited the Rhinelander Heller (born in 1971) to the musical meet up “Three Generations of Tenor Saxophone“ with Johnny Griffin (born in 1928). The new album by these two representatives of the “younger“ generation is heavily influenced by the American saxophone legend, Johnny Griffin. Nevertheless, the nine tracks equally reflect both the history and current state of jazz. A few of the compositions are by Roman Schwaller, Thelonious Monk and Johnny Griffin. 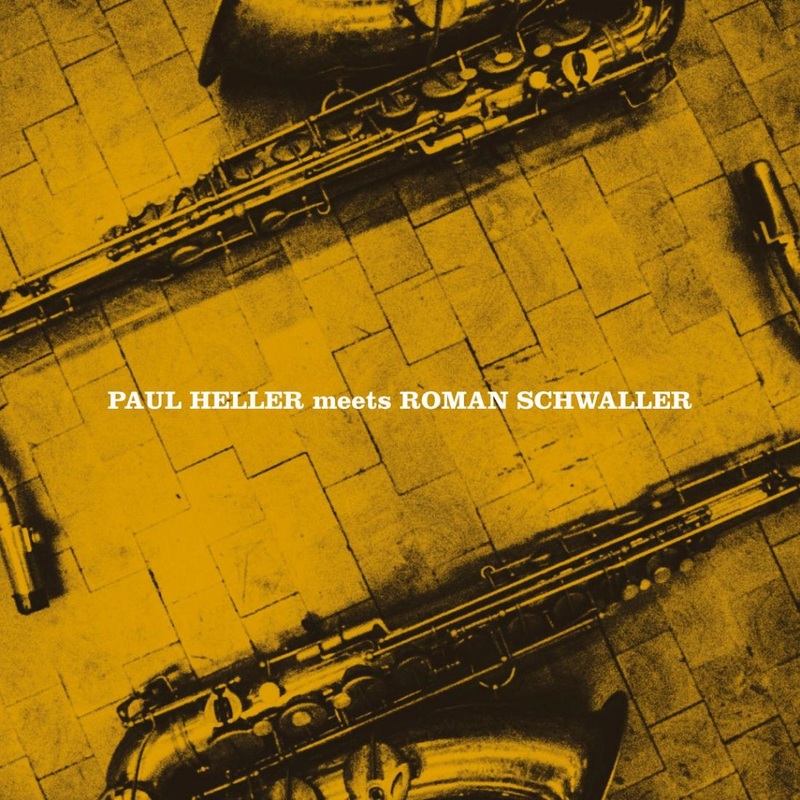 Five of the nine pieces were composed by Paul Heller, including the opener “Romanshorn“, which he dedicated to his mentor and musical role model Roman Schwaller (who was born in Romanshorn!). Whether it be a ballad, mid-tempo or uptempo, what follows is a prime example of improvisation and interaction. In addition to Schwaller and Heller are the scintillating Martin Sasse (piano), Thomas Stabenow (bass) and Niklas Walter (drums). Here are three open-eared musicians who are happy to get themselves involved in this style of “playing“ again and again. It‘s not surprising that the tracks were recorded in the “classical“ style, and in the exact running order (with a maximum of two takes) as they are to be heard on the album. Incidentally, aside from just listening to certain passages on the CD, it‘s definitely worthwhile to play it through in its entirety. That way you‘ll quickly understand what the saxophone legend Jimmy Heath meant when he said: “This music touches me deeply. I can hear the brotherly passion“. A true gauge of a musician’s ability is in how he or she interprets a piece of a genre’s canon. In the jazz world, there are decades’ worth of standards and classic repertoire that are ripe for adaptation. But the ability to excite and challenge listeners comes not only from technical prowess and musical recall, but from the specific approach to reinterpretation, which favors those who prefer a more adventurous approach. 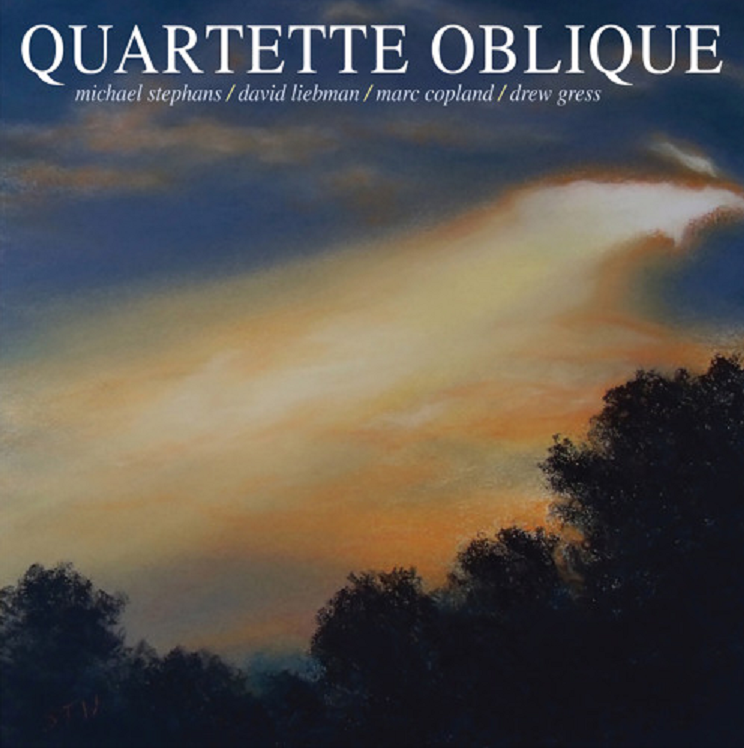 Four such forward thinking musicians came together to create Quartette Oblique, an ensemble which, as their name suggests, approaches the music from a skewed but engaging angle. Brought together by drummer Michael Stephans, the group features saxophone great Dave Liebman, pianist extraordinaire Marc Copland and the stalwart Drew Gress on bass. Their new eponymously titled recording finds them at their most freewheeling in a live performance at the Deer Head Inn in Delaware Water Gap, Pennsylvania. Stephans is a college professor, holding a Ph.D. and two Master’s degrees, and a writer of poetry and books on jazz. As an open-minded, progressive drummer, he has long been involved in the creative music scene, performing alongside such greats as Bob Brookmeyer, Joe Lovano, Bennie Maupin, Pharoah Sanders and Bob Dorough. For Quartette Oblique, Stephans reached out to three brilliant, improvising musicians who he knew would trust their instincts and play collective music in an open and exploratory way. Copland is a pianist who Stephans appreciated for decades and who made perfect sense for the ensemble. Having been a longtime fan of woodwind master Dave Liebman, Stephans first worked with Liebman in 2004 and their relationship has truly blossomed. Gress was a perfect pick on bass, as his personal touch and beautiful sound have buoyed Stephans’s drums in a number of rhythm sections in the recent past. The goal of the ensemble was to generate performances that represented the sum of the musicians’ highly disciplined and creative musical parts. Their collective knowledge and experience would provide a depth of feeling to their takes on classic jazz repertoire. The off-kilter manner in which they approach these pieces makes for some truly brilliant arrangements, most done without prior planning, on the spur of the moment. Fortunately for the jazz world, these pieces were recorded at the Quartette’s appearance at the Deer Head Inn on June 3, 2017. The program begins with a haunting version of Miles Davis’s “Nardis,” featuring a searching tenor sax and churning rhythm section led by Stephans’s drum work. The late John Abercrombie’s “Vertigo” begins as an introspective piano feature, which concludes with a spry soprano solo from Liebman. A deconstructed version of Schwartz and Dietz’s “You and the Night and the Music” follows with some remarkable group interplay. Ellington’s “In a Sentimental Mood” receives an elegantly spare treatment that retains the essence of the composer’s gentle message. Miles Davis’s “All Blues” sounds like an incredible reshuffling of the original with Liebman’s soprano leading to an almost surrealistic reimagining of the tune. Gress’s evocative “Vesper” is a lovely ballad and features the bassist on a distinctive solo flight. The program concludes with Davis’s classic “So What,” a tour de force in group interplay and improvisation with amazing contributions from all. An oft-repeated piece of musical lore states that the great composer/arranger Duke Ellington wrote music specifically for the individuals in his orchestra. His knowledge of their musical lineage, strengths and weaknesses allowed him to customize parts for each voice. 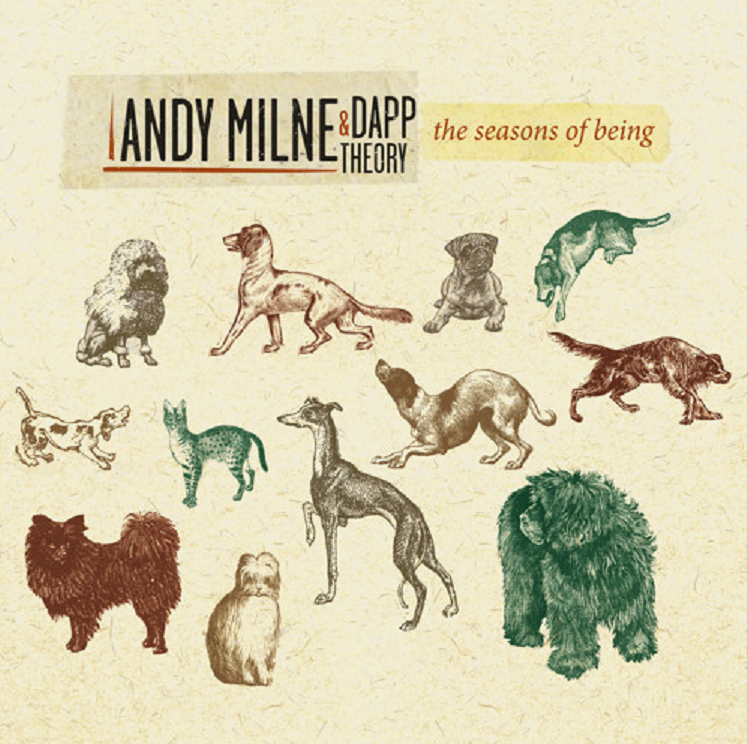 Pianist and composer Andy Milne takes this principle a step further on his new recording, The Seasons of Being. Applying the principles of homeopathic diagnosis, Milne generates an optimized environment for improvisation for his long running Dapp Theory ensemble and a host of special guests. After a challenging couple of years and some seismic life changes, Milne was able to channel his energy into some positive changes, including accepting a full-time teaching position at the University of Michigan. But it was his own battle with prostate cancer that led the pianist to explore homeopathic healing, as he felt it was important in his quest to become cancer free. His study of the subject led to a Chamber Music America commission to explore the effects of homeopathic techniques on composition for a chamber ensemble. Milne’s idea stemmed from his experiences performing other composers’ music, and from observing other musicians perform his. In some cases, inspiration would come easily, whether because of the material or the musician’s temperament. Milne wondered if there could be a way to personalize the music to optimize engagement and benefits for all involved during performance. Naturally, Milne turned to his primary musical outlet, his collaborative ensemble Dapp Theory, which the pianist has led for twenty years. The cohesion amassed from time invested can be heard in the group’s interplay and singular response to color, texture and mood. The latest iteration of the group includes woodwind specialist Aaron Kruziki, bassist Christopher Tordini, drummer Kenny Grohowski and wordsmith John Moon. To augment Dapp Theory’s already expansive sound, Milne wanted to recruit a number of diverse and experienced special guests to be a part of his experiment, the unifying element being that they were all musicians he respected and wanted to work with further. He entrusted the duties to guitarist Ben Monder, trumpeter Ralph Alessi, vocalist La Tanya Hall, saxophonist Michael Attias and cellists Christopher Hoffman and Jody Redhage. Milne’s positive experiences with homeopathy led him to ask how it could influence improvisation and lead to more emotionally meaningful interactions for the musicians playing his music. He hoped to find a way to create compositions that play to hidden aspects of his collaborator’s emotional profiles, namely, where they might feel most stimulated to broaden their range of expression. To apply his method, Milne studied each musician to collect and learn their emotional responses. Many of these responses would never have been garnered through their personal or musical relationships. First, Milne subjected the individuals to a listening test of 15 short excerpts of a wide array of musical styles, asking them to share how the music did or didn’t resonate for them. Second, there was a questionnaire with a number of yes/no questions. With the assistance of homeopathic healer David Kramer, Milne then assessed their handwritten responses, looking for clues to their musical tastes and emotional lineage. Kramer identified individual pathologies based on their answers. Milne found it remarkable how close those characterizations were to the individuals’ traits. In some cases Kramer was able to describe physical attributes of certain musicians. Scientists spend long hours investigating their passions, delving into the complex details of their research in pursuit of new knowledge. In a science fair, they demonstrate their findings, making them accessible and even fun. As a combustion reaction generates heat and light, a similar reaction happens between sound and movement. 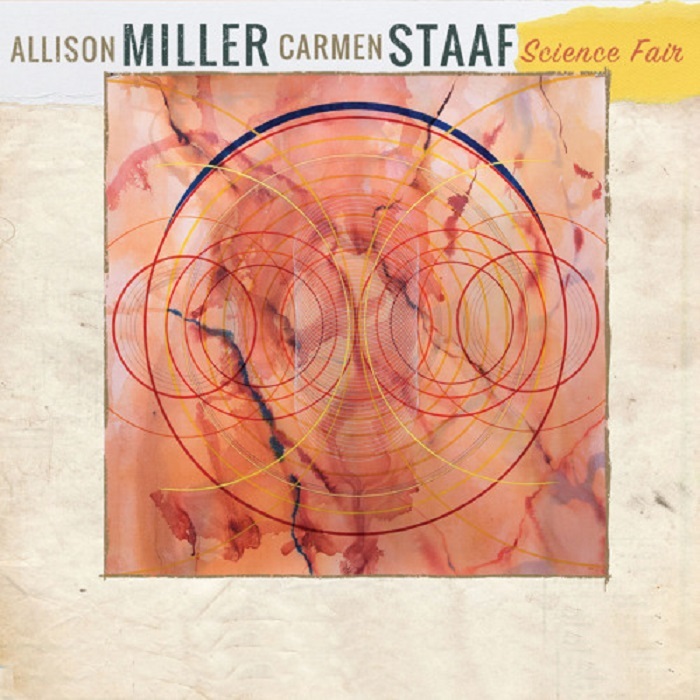 With the wonder of kids making a baking soda volcano, drummer Allison Miller and pianist Carmen Staaf combine bold musical concepts, tremendous collaborators, and a passion to challenge and explore into an eruption of energy on their fantastic new recording, Science Fair. Miller is well-known in the jazz and pop worlds, having backed Natalie Merchant and Ani DiFranco, then going on to lead her own celebrated jazz ensembles, including Boom Tic Boom. Miller’s collaboration with Staaf began a few years ago. When Miller needed a piano substitute for the Reykjavik Jazz Festival in 2015, she called her friend, bassist Todd Sickafoose. He suggested Staaf, who had just finished her time at the Thelonious Monk Institute of Jazz Performance, and had recently impressed Sickafoose on a performance at the Blue Whale in Los Angeles. The connection was made and a three-show trial by fire ensued. The connection between the two musicians was immediate. They found a kindred spirit in each other, as their musical orientations are straight ahead, rhythmically minded, and open to suggestion. The most important element was the level of trust they quickly developed, thus freeing them to tap into their creativity more fully and spur their musical dialog. Miller and Staaf began to meet regularly. Their rehearsals led to collaborations in new ensemble configurations and with dancers. Dance and music for dance has been important for each of them. Miller grew up in a family enamored with movement and immersed herself in the Washington, DC youth dance scene. She went on to become musical director for a number of choreographers. Though not a dancer herself, Staaf has been drawn to music made for dancing, including Afro-Cuban, salsa, West African, and Indian vocal percussive music. Miller and Staaf’s experiments began to take shape as a recording project. They both began to bring tunes to their weekly rehearsals, and tinkered with arrangements and different ensemble lineups. They eventually picked bassist Matt Penman to round out their core trio. He proved to be of a similar mindset, fun-loving and open-minded, not to mention a highly swinging accompanist. For a number of pieces, the trio is augmented by one or two horns, namely the gifted trumpeter Ambrose Akinmusire and the wonderful saxophonist Dayna Stephens. The best week of the young composer/arranger Miho Hazama’s life was a hectic one. In 2011, she was invited as one of eight arrangers from around the world to take part in the famed Metropole Orkest’s residency program, led by the legendary Vince Mendoza. There were master classes and rehearsals all week for arrangements the residents would write, in four days, to be performed by the Big Band conducted by Mendoza and featuring vocalist Roberta Gambarini. The trial by fire was exhilarating and made Hazama crave another chance to arrange for the world’s only jazz philharmonic orchestra. In 2017, Hazama got another chance to write for the Metropole Orkest Big Band when her project to arrange original pieces and orchestrate solo pieces by the pianist Thelonious Monk, in his centennial year, was selected for the orchestra. 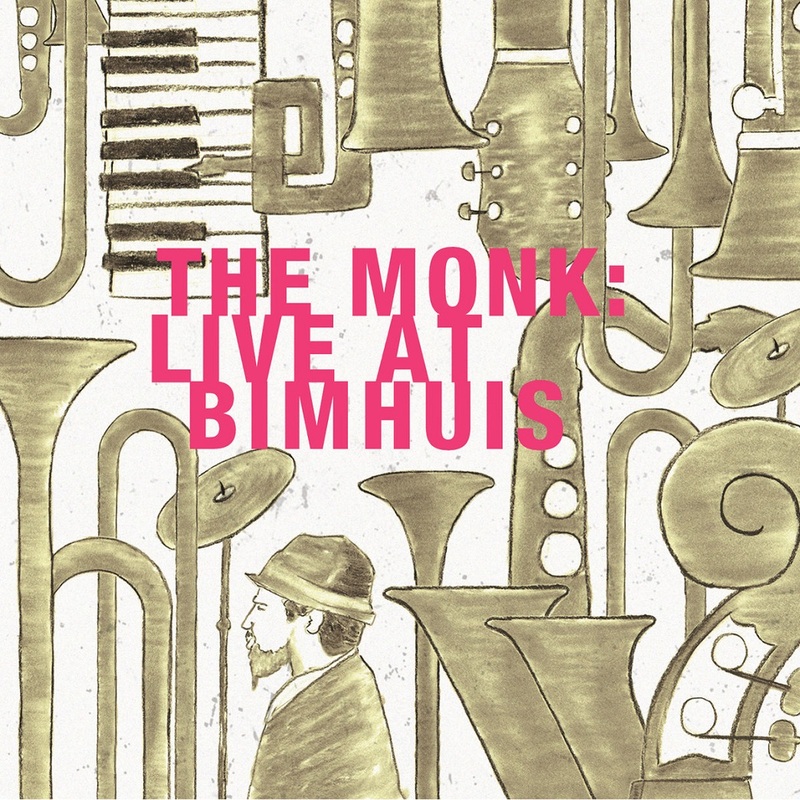 The results of the collaboration can be heard on the new recording, The Monk: Live at Bimhuis. The Tokyo born, New York based Hazama has made quite a name for herself as an arranger, composer and conductor. She has composed pieces for the Tokyo Philharmonic Orchestra and the Siena Wind Orchestra and has arranged for artists and ensembles as diverse as the Danish Radio Big Band and Ryuichi Sakamoto. Hazama has also led and recorded with her own large ensemble, the m_unit. Since Hazama’s first foray with Metropole, the entity had gone private. The Big Band had remained extremely active and reached out to Hazama on a number of occasions to continue her work with them. In the summer of 2016, she visited Rotterdam to visit musical director Gert-Jan Blom; she proposed a project around the centennial of Monk’s birth. Blom thought it was a good idea but that it also had to be extra special, as there would be many similar projects in 2017. Hazama began to immerse herself in Monk’s music. Initially, she looked to the larger works, including Hall Overton’s arrangements for The Thelonious Monk Orchestra at Town Hall (1959) and Oliver Nelson’s from Monk’s Blues (1969). But it was Monk’s solo performances that began to capture her attention more and more. Hazama decided to orchestrate four recorded solo performances for the Big Band. She also arranged three of the idiosyncratic pianist’s fantastic compositions. Monk’s solo performances intrigued Hazama, as the performer thought compositionally as he played, developing the themes and advancing the harmonies. Hazama began by transcribing the solos and then broadened the scope of the pieces to allow for solos from the Big Band members, utilizing Monk’s frequent use of the two-beat stride sections. Blom and pianist Hans Vroomans were instrumental in planning, developing and implementing the arrangements and orchestrations. There was also ample time for rehearsal, so the pieces were solid for performance and the ensemble was able to translate Monk’s language into a large ensemble setting. With Hazama conducting, the Big Band then went on the road to Hilversum, Amsterdam (where the recording was made), Rotterdam and Den Bosch. The program has a perfect beginning with Hazama’s arrangement of “Thelonious,” in which she kept the arrangement simple by building its harmony around the tuning key tone of B-flat and continuing from there. Her orchestration of Monk’s performance of “Ruby My Dear” from Alone In San Francisco (1959) is an intriguing adaptation of his ascending melodic interpretation, led by clarinet and climaxing with trombone. Adding a little Latin blend to the program, Hazama’s arrangement of “Friday the 13th” is a dynamic toe tapper with some intriguing dramatic segments. The version of “Hackensack” that Hazama orchestrated comes from Monk’s first solo Paris performance in 1954 and shows how active Monk’s playing was early in his career, which allowed Hazama to exaggerate his dynamics in a dramatic way, from a quiet beginning to percussively loud. The orchestration of the pianist’s take on his collaborative piece with Bernard Hanighen and Cootie Williams, “’Round Midnight,” comes from Thelonious Himself (1957) and Hazama plays it simple allowing Vrooman space to create, which he does adding a beautiful cadenza and interlude. Appropriately, Hazama focuses on the rhythmic aspect of Monk and Kenny Clarke’s “Epistrophy” by taking the poly-rhythms of the original and creating a new rhythm modulation from the triplet feel to the swing of the theme. The recording concludes with a special orchestration of a 1969 solo from French television’s Jazz Portrait of “Crepuscule with Nellie,” an important piece from Monk’s repertoire, as it was a tribute to his wife. Like all the takes Monk ever recorded of the tune, this version has only the piano as a solo voice. It had long been Miho Hazama’s dream to work with the Metropole Orkest Big Band. The opportunity presented itself in a tribute to the great Thelonious Monk, which was masterfully performed and recorded in Amsterdam as The Monk : Live at Bimhuis. 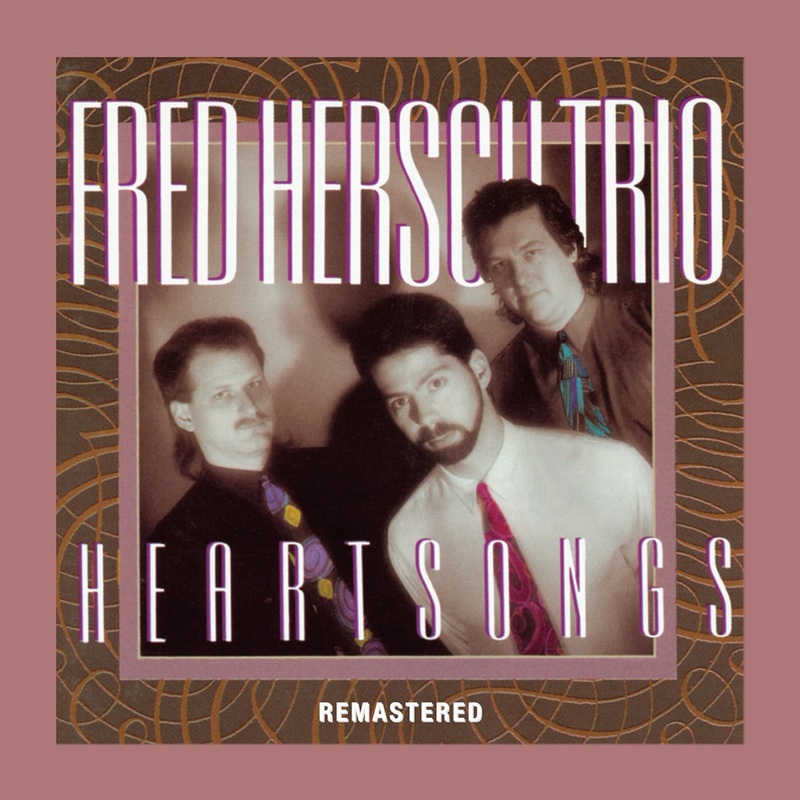 Hersch is a true musician with virtuosic gifts and a rare insight formed from close studies in both jazz and classical music, and by constant practice and just plain hard work. He also is intelligent, a quality that speaks eloquently through the architectonics of his music as well as in his conversation. His is a talent that has been distilled to essences which are now producing music at the cutting edge. Fred – a transition in reference that stems from a sense of knowing this unique individual – possesses an innate congeniality, honesty and willingness to share that is as refreshing, especially in this age of hype and hyperbole, as it is disarming. “This is the first album I’ve done with a working band,” Fred begins. 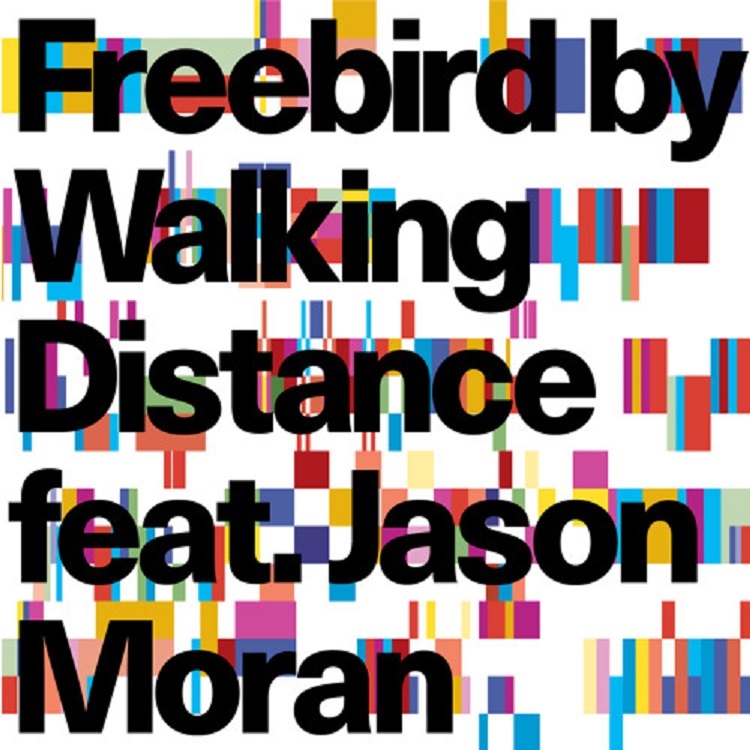 “There was the album Horizons, with Marc Johnson and Joey Baron. But though we had played together with Toots Thielemans and in other rhythm section contexts, we never played as a trio. “Michael Formanek and Jeff Hirshfield are contemporaries, which is a very important thing to me because we grew up listening to the same music. We’ve been in New York about the same amount of time. We’ve done all the sideman gigs, some of them together: Michael has played with people like Freddie Hubbard, Eddie Henderson, Tony Williams, Herbie Mann. Attila Zoller and Dave Liebman. Jeff also has played with a lot of people including Jim Hall, Randy Brecker and Eliane Elias, Penny Wallace and numerous big bands. We’ve been jazz mercenaries’, as Jeff calls it. But, now this trio project is something that we’re doing for us!